If there comes a time when your mom or dad needs more help to get through their day, Mansion at Waterford Assisted Living’s care services can help. In addition to the usual meals, activities, and maintenance, your mom or dad can also get any combination of support services like medication management, help with bathing and dressing and incontinence management. To hear a full list of support services and learn more about how we can help, give us a call today. Ready to try our menu for yourself? Schedule a tour and complimentary lunch. Between appointments, hosting company, late nights and early mornings, you always fit meals around your life. 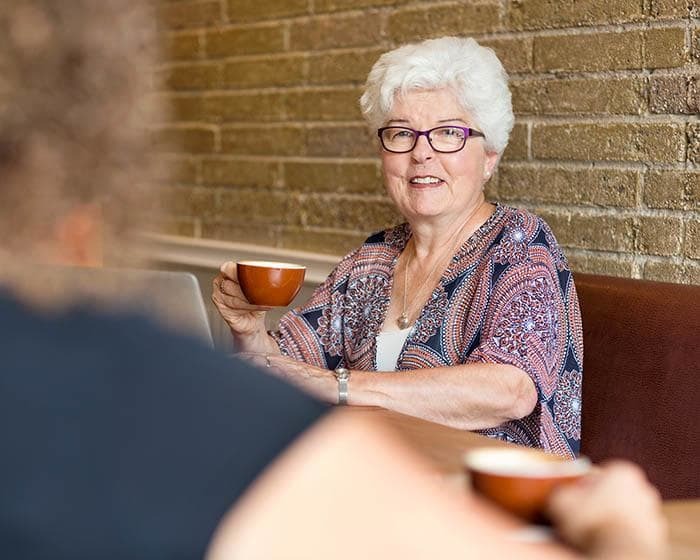 Why should that change after a move to senior living? That’s why our dining services are flexible, just like your life. You have a social life and commitments that interfere with set meal times, and that’s ok. Doctor’s appointments happen. Day trips to great grandkids’ soccer tournaments happen. And, sometimes, not being hungry for lunch right at 12:00 noon happens too. That’s why we started the Your Way All Day dining program. It lets you eat at flexible times, so you never have to hurry to a meal. In addition to three main meal times, Your Way All Day lets you choose from an assortment of options from our on-site restaurant quality kitchen all day, every day, 365 days a year. So go ahead, sleep in on the weekends. Meet the girls for coffee at noon. There’s no need to rush into the dining room because, thanks to Your Way All Day, meal times are on your time.